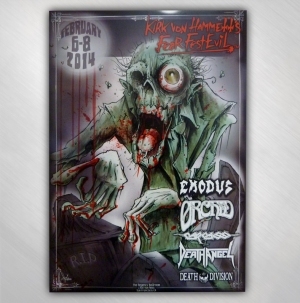 Kirk Von Hammett's - February 6th - 8th, 2014 FestEvil Poster! 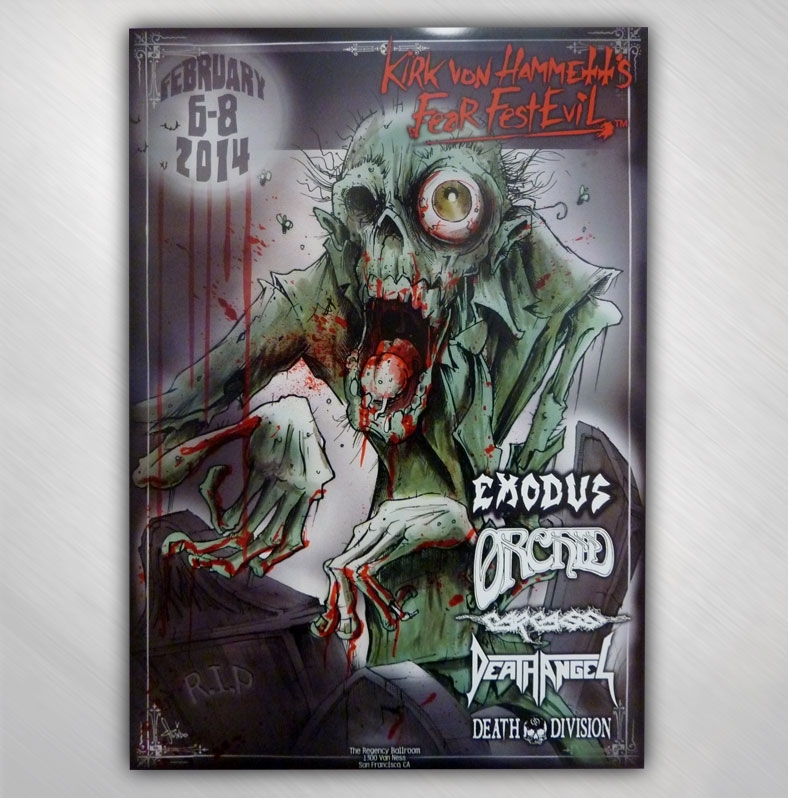 This poster commemorates the event Kirk hosted for his FestEvil, with Death Angel, Exodus, Carcass and a host of others playing, February 6 - 8th in San Francisco, at the Regency Ballrom. Original design by Squindo! Poster measures 13" x 19" tall.